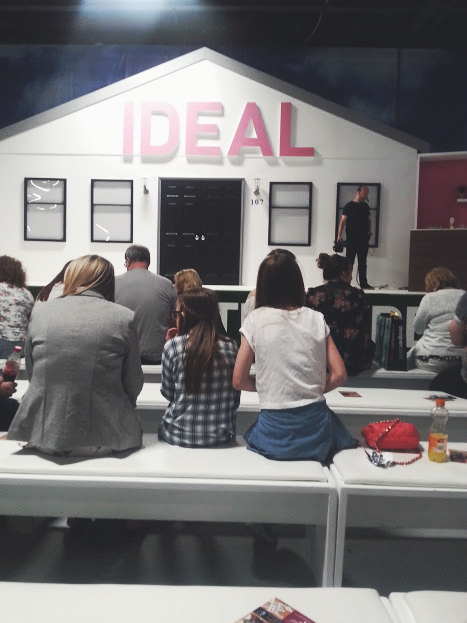 The Ideal Home Show came back to Manchester for a second year, and I was very lucky indeed to attend courtesy of Plumbs! 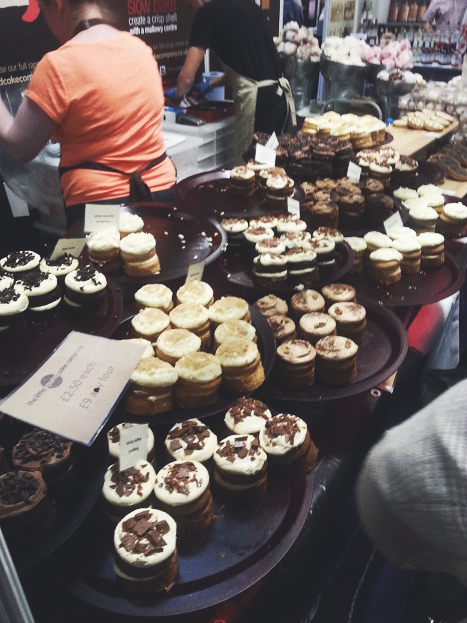 Here are some pictures from the show, and my favourite bits. 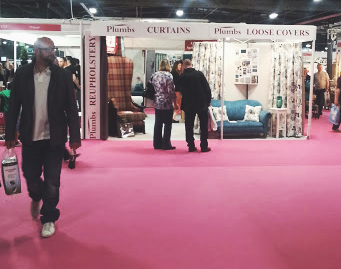 The home show is held at Event City a gorgeous venue and right next door to the Trafford Center making it a perfect day out for you and the family. 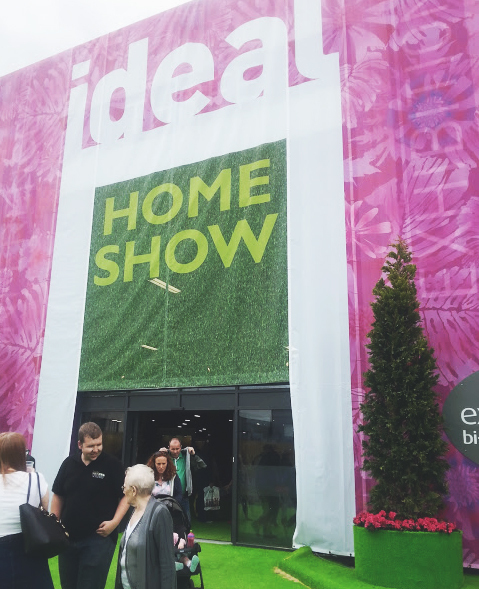 When you enter the venue there are lots of different sections to visit - home improvements, interiors, fashion & beauty, technology and the area that we spent most of out time in Food! If you have never been to anything like this, let me explain it for you. Each of the areas I mentioned above are full of stalls from different companies and brands selling their products and items. 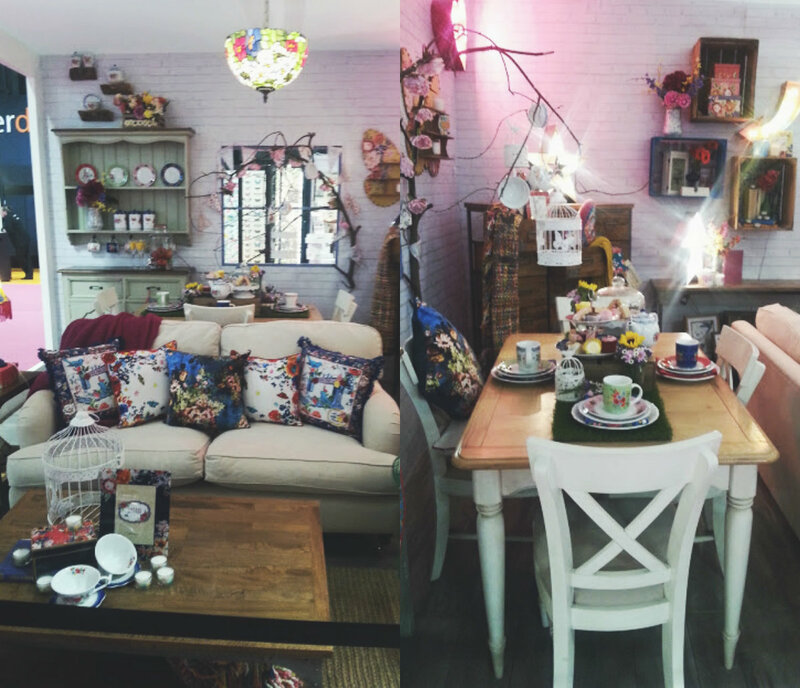 There is everything from blenders, beds to mini houses that you can look around. This year there was even room sets (collage above) that I have fallen in love with, the wildlife/butterflies inside the rooms make it very chic and pretty. 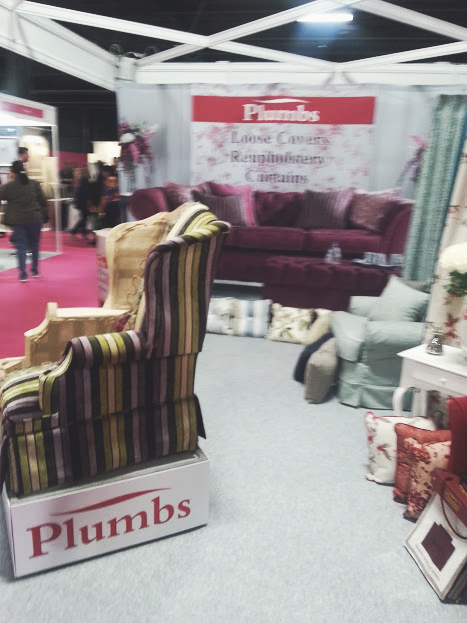 I also popped over to the Plumbs stand to see exactly what they were all about who produce high quality furniture Covers, curtains and reupholstery. 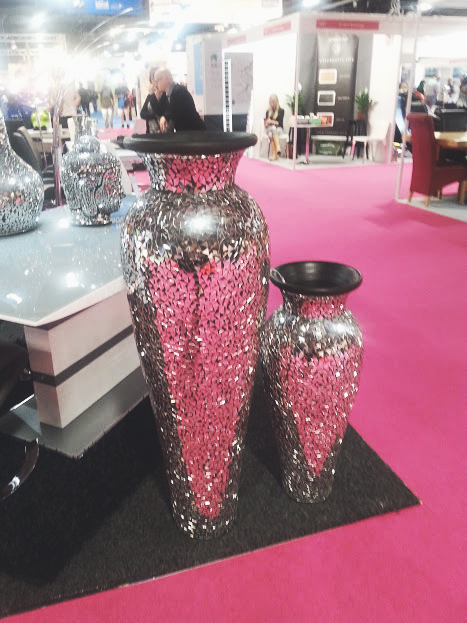 They offer home visits free of charge to show you exactly what they offer and how they can revamp up your house. 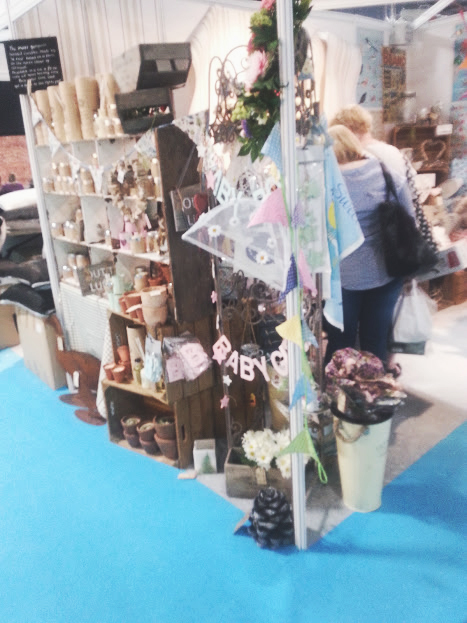 The fabrics on the display at the show were really pretty and I had to really stop myself from buying everything! Have you ever visited the IHS? If not, I highly recommend visiting next time around it comes to either Manchester, London and I believe Scotland! A big big thank you to the lovely people at Plumbs for providing me with tickets!